One of the most important things we do at Pearson College UWC is supporting the mix of young visionaries who will be coming to the shores of Pedder Bay and the nearby community of Metchosin from around the world. And Admissions Officer and Host Family Program Coordinator Fatma Dogus is a vital part of this support team. This term – and the PC Year 45 incoming cohort — is particularly exciting because it marks our return to a “full” student enrollment of about 200. We say “about,” not because any students get lost in the complex shuffle of welcoming new young people to the UWC movement, but because sometimes students who are accepted face visa and related issues when they travel abroad – sometimes for the first time — to Canada. Usually, this simply delays their arrival on campus but sometimes they may be refused a visa that could result in them not being able to attend this year or at all. 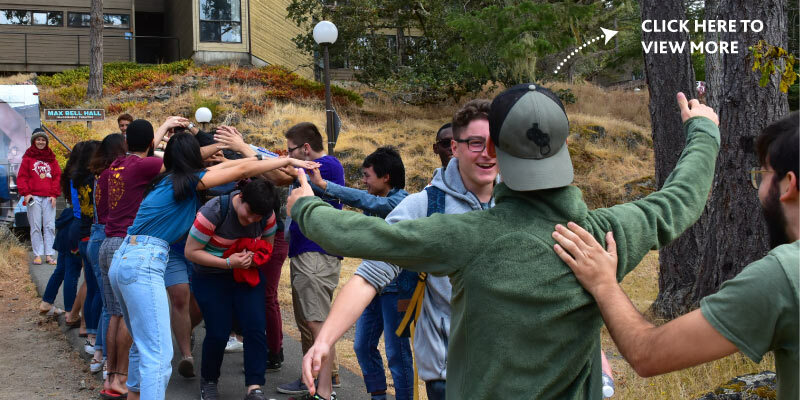 While Pearson and the UWC work very hard to ensure that our commitment to global education is fulfilled, sometimes there are circumstances beyond our control that impact student mobility. As of this writing, there are still about 10 students awaiting visas. We are keeping our fingers crossed for all of them. Last month, we shared a teaser about the Canadians who have been selected to attend Pearson and the other 16 UWC colleges around the world. While we are still eagerly awaiting (again, as of this writing) the imminent arrival of YR 45 students at Pearson, Fatma kindly shared a short statistical breakdown of the combined years 44 and 45 regional origins. Teaching students to consider issues and initiatives on a scale that makes a positive impact beyond national boundaries is part of a global education. Looking at where students come from only provides an interesting snapshot in time and serves as a reminder of the breadth that the UWC – with at least 160 National Committees – spans. Students are indicated as originating from or representing seven regions: the Caribbean, the Middle East, Africa, Latin America, Europe, Asia Pacific and North America. We’ll share more information about countries and territories represented in future. For the total student body on campus this year, almost one-third will represent North America, the bulk of those, as always, represent every province and territory of Canada. Pearson is Canada’s School for the World but we have always had a strong commitment to recruit and encourage young Canadians who will channel the globalist outlook of our inspiration, Lester B. Pearson. The Asia Pacific region makes up the next-highest cohort, at about 21 per cent of first and second year students. Students selected through European national committees make up about 17 per cent. For the 2018-19 year, students representing African and Latin America states make up about 10 per cent, respectively, of the student body. Students representing Middle Eastern nations and territories make up about seven per cent of the campus student population with those representing the Caribbean about three per cent. We look forward to getting to know our all our students this year and sharing our unique home in the Northwest Pacific coastal forest.